Your building has a drain line problem, and over the last year, you’ve found yourself hiring a plumber to come out and snake or hydrojet your drain lines with increasing frequency. You know they need replaced due to corrosion and age, but you’d rather not have your walls and/or property destroyed in the process. After days of research on the Internet, you’ve come to a decision. You want trenchless pipe repair via pipe lining, and you’ve pitched it to your HOA, landlord or property management company. They agree trenchless repair Chicago is the right solution. However, they’ve asked you a seemingly simple question. 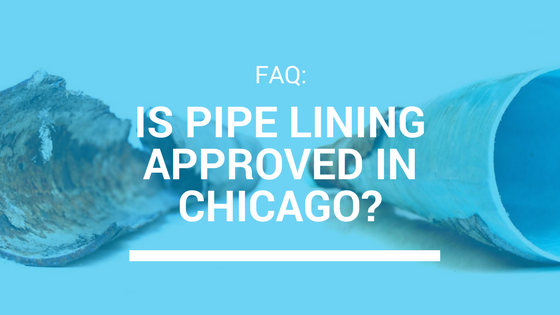 Is Pipe Lining Approved in the City of Chicago? Your first thought revolves around the fact that pipe lining is available in Chicago, so it must be approved, but your management board wants a definitive answer. In an effort to concretely answer the question, you resume your search on the Internet. You visit plumbing webpages. You perform numerous Google searches. You visit social media sites, like Facebook and Twitter, and you even delve into the world of plumbing forums! Depending on who you talk to, you receive conflicting information, and you know if you cannot prove that the answer is yes, your board will revoke your approval. 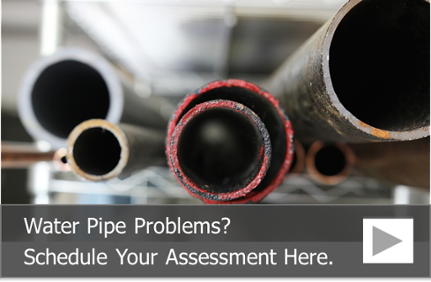 When it comes to answering your toughest pipe lining questions, you can count on our pipe lining technicians to give you the correct answers. One of the common questions we receive is about the legality and safety of CIPP pipe lining. The short answer is that pipe lining is completely safe. It adheres to all building and plumbing codes, and it is approved in the state of Illinois and the city of Chicago. Pipe lining is approved in the state of Illinois, providing the company offering the service applied for and received approval from the Illinois Plumbing Advisory Council and the Illinois Department of Public Health. On February 23, 2015, Nu Flow’s pipe lining technology was reviewed for drain lines and vent stacks by the Plumbing Code Advisory Council, and we are approved to install CIPP pipe lining across the state of Illinois in drain lines with certain understood requirements. All of our CIPP must be performed in compliance with IPC sections 890.1320 thru 1380 and sections 890.1420 thru 1590. The diameter of the pipe must be no less than 2”. We must remain compliant with the applicable ASTM standards. A licensed plumber must be available to provide oversight. Pipe lining is also approved by the city of Chicago. 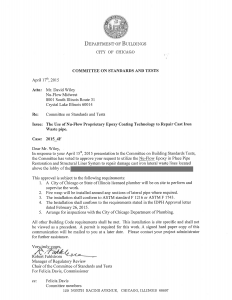 However, plumbing drain line is not mentioned in Chicago’s codes, so it needs approval on a case by case basis. Thankfully, here at Nu Flow, we’ve successfully applied and been approved for CIPP within the city limits of Chicago. When we are approved to perform pipe lining in Chicago, we must remain vigilant of the requirements for each job as stated in the approval letter. A licensed plumber in the city of Chicago must be on site. Firewrap must be installed where applicable. All work must be compliant with the applicable ASTM standards. An inspection must be performed after work is completed. If you need your drain pipes lined with epoxy, our professional plumbers in Chicago can get the job done. We can assess your drain lines, provide a recommendation for pipe lining, get the required approval and install the CIPP liner in accordance with all the applicable codes and regulations. To learn more about CIPP, call us today at 815-790-9000.